Come out and visit our animal friends! 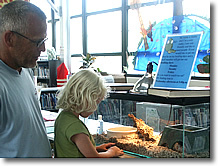 Ruby and Paige the chinchillas are visiting for the summer, and we have Link the skink, Sasha the Russian tortoise, and Mr. Wiggles the frog, all in our Discovery Room downstairs. 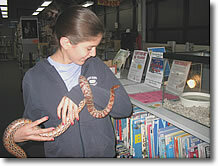 Visitors are welcome during regular Discovery Room hours. Click here for more information. And don't forget to visit Simba upstairs! 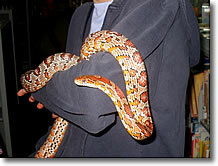 She’s a mature corn snake that loves visitors. Want to watch a feeding? Join us at 5pm on Wednesdays!